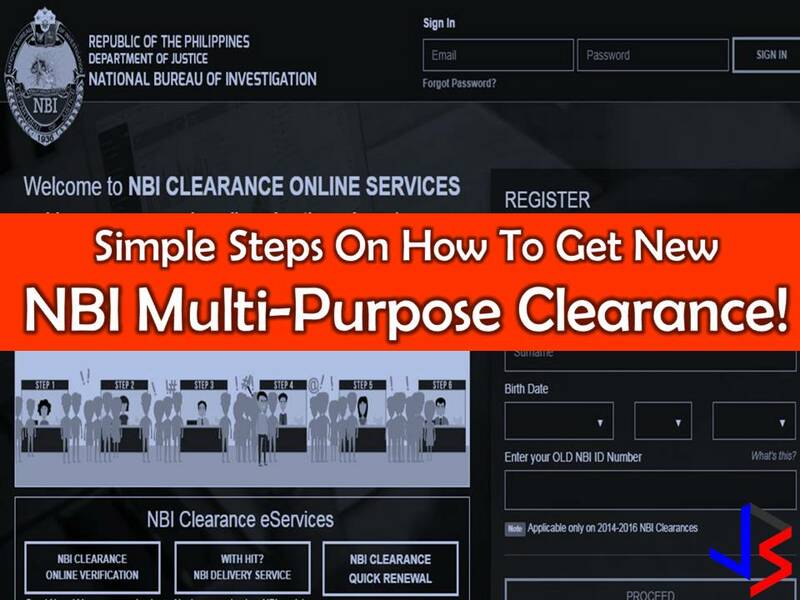 National Bureau of Investigation (NBI) Clearance is now multi-purpose. This means, one NBI clearance can be used for whatever legal purpose, be it for local or overseas employment, travel abroad or for applying for a gun license. The NBI has already started issuing the multi-purpose clearance last October 2, 2017, for only P115 pesos. According to Emelyn Aoanan, Information Communication Technology Division head of NBI, the agency has simplified the process of getting NBI clearance as a proof that a person has no criminal record. Previously, the applicant needs to undergo the separate process, depending upon what kind of clearance is needed. Read: Do You Know That Your New NBI Clearance Will Be Now Multi-Purpose? Step 1 - Applicant must register to www.nbi-clearance.com. But according to Aoanan if an applicant has no access to the internet they can go to NBI head office or other satellite to register. She said, there is free internet there where applicants can go online for registration. Step 2 - After registering, the applicant will now get his reference number, set an appointment and select NBI branch to submit himself for biometrics process. Step 3 - If registration online is done, a payment of P115 can be paid at banks or payment centers. Step 4 - On his appointment date, the applicant must go to NBI branch of his choice upon registration for biometrics. Here the applicant's photo, fingerprints, and signature will be taken. 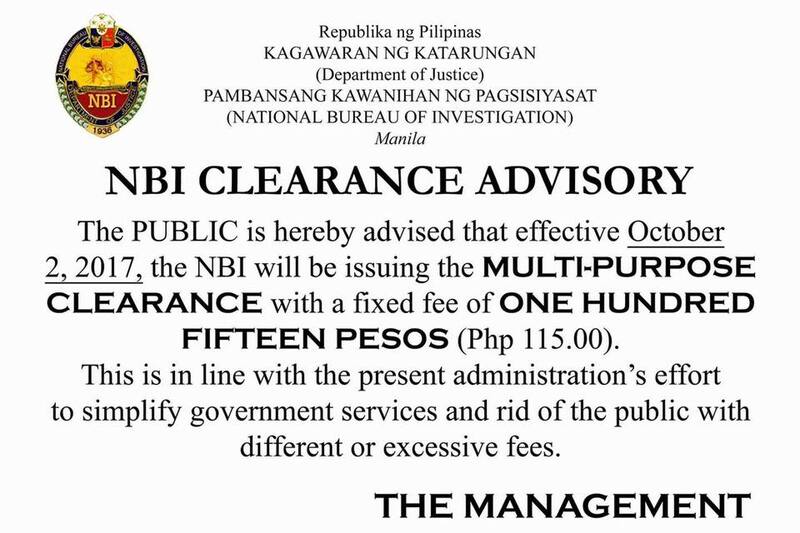 Step 5 - If no hits, the applicant can get his new NBI Multipurpose Clearance on the same day. What if there is a "hit"? If applicants name is a hit, the NBI will do the investigation on their database to know if the applicant has a pending case. This will take four days. According to Aoanan, applicants for NBI multipurpose clearance will undergo verification process with the following parameters; date of birth, address and parents address. If the applicant has a case, pending or acquited, a court clearance is needed to be submitted in NBI.